Hello guys! Sorry for my late post. Here's my yummy dessert that I took last week. 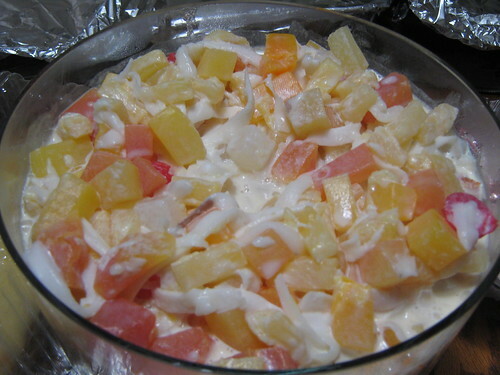 The first photo is a buko salad, Filipino's favorite. The second pic is a banana with yummy sauce, followed by the jelly squares and fruits. Thanks to Janet for hosting Yummy Sunday. To those who love to participate, feel free to join and put your link in the auto link. See you around!!! AWWW!!! U make droll like a crazy dog, eh? The buko is a must during my stay in our native land. Sus! kadaghan sa likod sa balay no? Now, living for half of my life abroad, murag madalo lagi ko? Really yummy, indeed! Enjoy ur Sunday pm & week ahead. 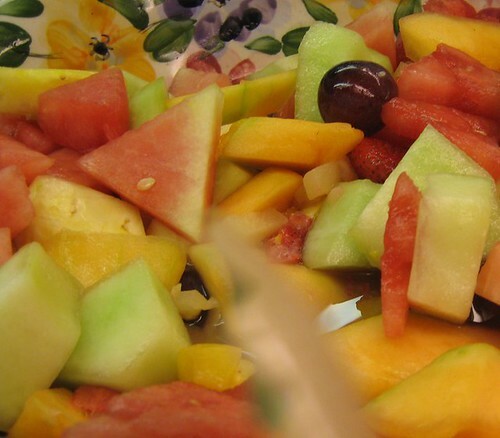 Wow Norm...Now im craving for fresh fruit salad. 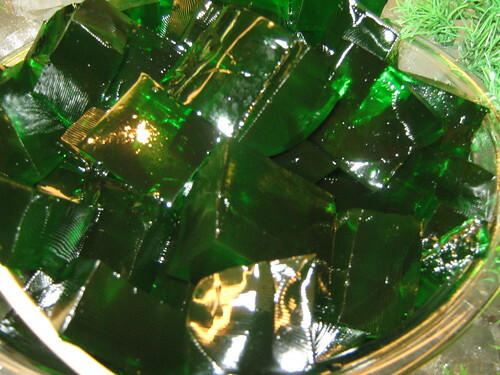 :) It's really really yummy!!! Yummmm - that looks delicious!